Can Chess Help Break Down Barriers Between Cops and Chicago’s Youth? The Cops & Kids Chess was launched this school year by Chicago Public Schools and the Renaissance Knights Chess Foundation in partnership with the Chicago Police Department. BRIDGEPORT — Wentworth Elementary student Ja’Kala Walker, 12, has gotten so good at chess in recent weeks that she said she let her new Chicago police officer friend win a game or two. 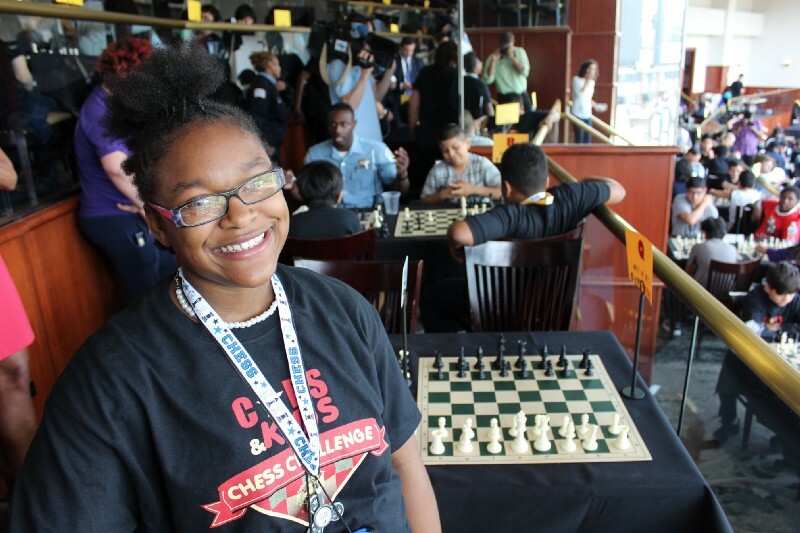 Walker joined her school’s chess team about seven weeks ago and decided to participate in the Cops & Kids Chess Challenge at Guaranteed Rate Field last week. The program aims to get more kids interested in the game while forming relationships between often-feared police officers and young people. Connections like the one fostered between Walker and McAllister are exactly what the creators of the Cops & Kids Chess initiative were hoping for. 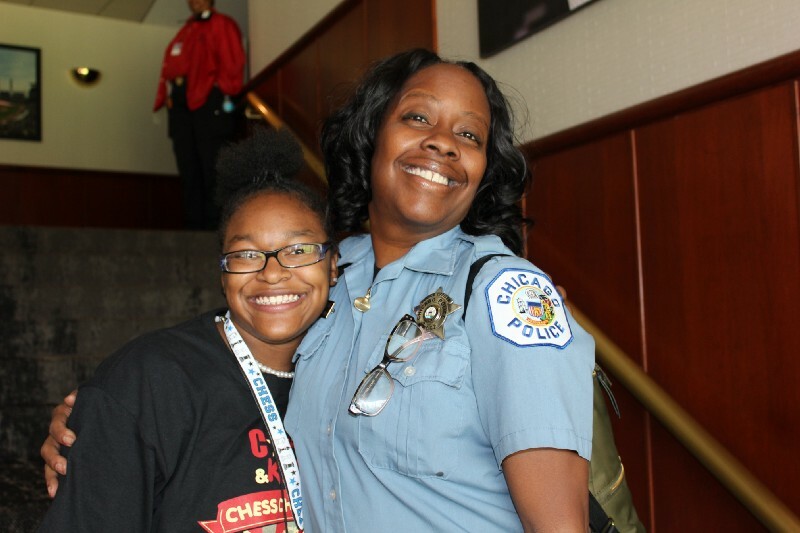 Launched this school year by Chicago Public Schools and the Renaissance Knights Chess Foundation in partnership with the Chicago Police Department, the goal of the initiative is to promote positive interactions and relationship building between youth and police officers over games of chess. Through the program, local police officers visit chess clubs on a weekly basis. Nichole Matthews, academic chess coordinator for CPS, said Renaissance Knights Chess Foundation reached out to the school district and then they looped in the police department. Matthews said she hopes the program can help erode misconceptions youth have about police, and misconceptions that police have about youth. So far, 20 schools have signed up for the Cops & Kids initiative, Matthews said. 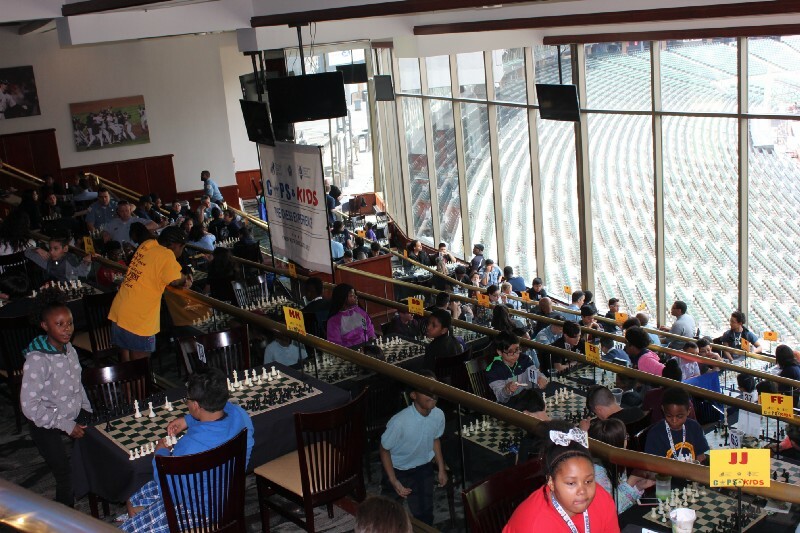 More than 150 students from CPS elementary and high schools showed up for the the final chess event of the school year last week at Guaranteed Rate Field. Matthews said the initiative is currently funded by CPS, CPD and the Renaissance Knights Chess Foundation, but more funding will be necessary in order for the program to grow. “Each year we are going to build and we hope to see that impact trending,” she said. Attending the Cops & Kids Chess Challenge was an eye-opening experience for Walker. Witnessing so many young people like herself playing chess was amazing, she said. She was also one of several students that won Sox-themed prizes and two tickets to a game. Walker said those who feel intimidated by the strategy game should give it a shot — it gets easier. While she does not win many matches against the officers who visit her school, she gets better with every game. Louis Gibbs, who coaches the chess team at Wentworth, said the interaction between the youth and police officers is “needed” and has watched interest in the game soar. He started with one player in December and now has 10. “It’s big because the police get so much negative press out there and for the kids to be able to actually interact and see that there’s more to them it shows that human side,” he said. Learn more about the Cops & Kids chess program here.